Show your support to Direct Action® Gear company with one of our T-Shirts. 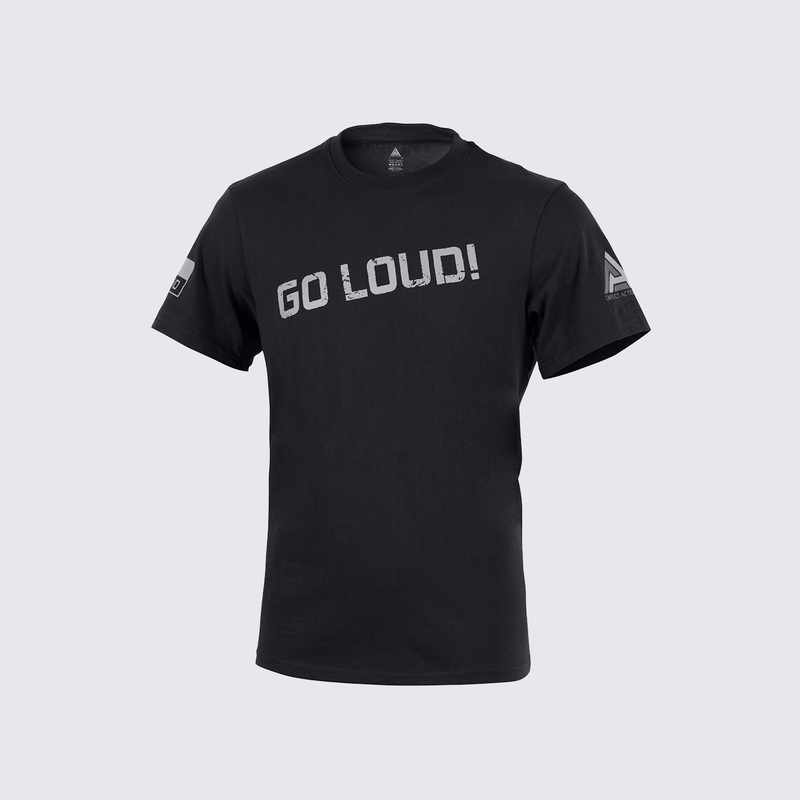 This 100% cotton shirt has printed our GO LOUD! motto on front, large DA® logo on back and left sleeve and also on the right sleeve there is a Polish subdued flag. Be sure to stand out from the crowd of overly tactical, identical t-shirts with bombs, mines and guns.